Neosorexa Gold. Deadly in a Day! The fastest, most effective multi-purpose cut wheat bait. Deadly in a day! A mixture of foraging grains pellets and cut wheat. 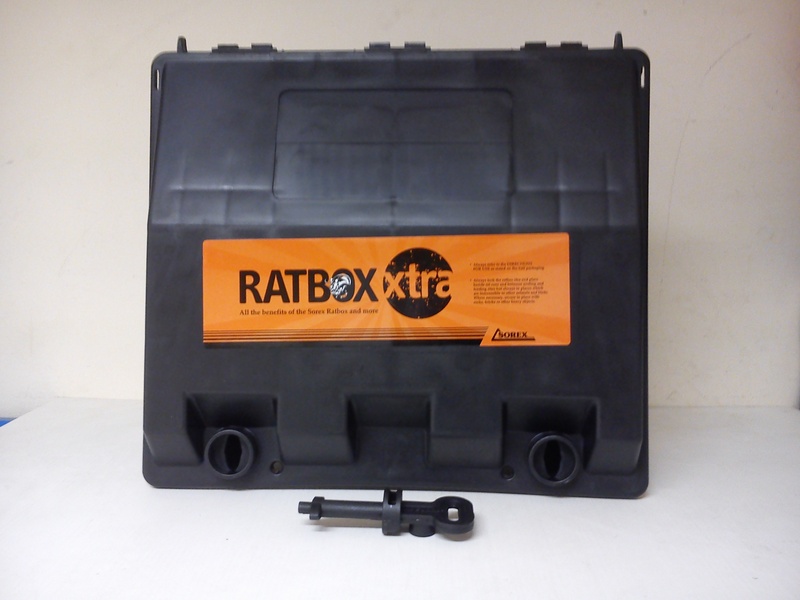 The first rodent bait to use Fortec Technology which aids modern rodent control through a better understanding of their natural feeding behaviour. 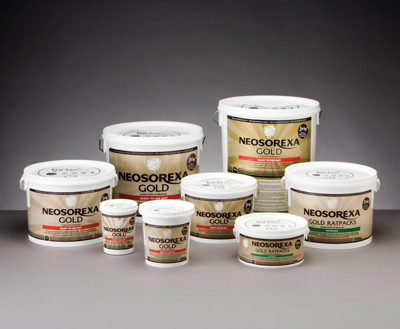 Neosorexa® Gold significantly improves rodenticide consumption by making the most of foraging grains to produce a more appealing and arresting mixed bait. A patented technology which significantly improves rodenticide consumption by making the most of foraging grains to produce a more appealing and arresting mixed bait. The key to this technology lies in making the added grains sufficiently different from the bulk of the bait in size, shape, colour, smell, taste and texture. The new technology works by appealing more completely to all the rodent senses involved in natural feeding behaviour. When signs of rats are seen, survey your premises inside and out to determine the extent and location of the infestation. Check for runs along walls and in vegetation around buildings. Check for rat holes, especially near water, up to 100m away. Check inside buildings for damage and droppings. Check for tracks in dust and mud. “Prolonged warm and dry weather will have meant prolific rat breeding over the main summer months” explains rural hygiene specialist Joe Lynch. “As soon as harvesting deprives them of food and shelter in the fields this means relatively large numbers will follow the grain and straw inside”. The need for effective, early rat control is made all the greater by the accute pressure put on forage stocks by one of the longest winters and latest springs in recent memory. Effective rodent control in an easy to use formulation. 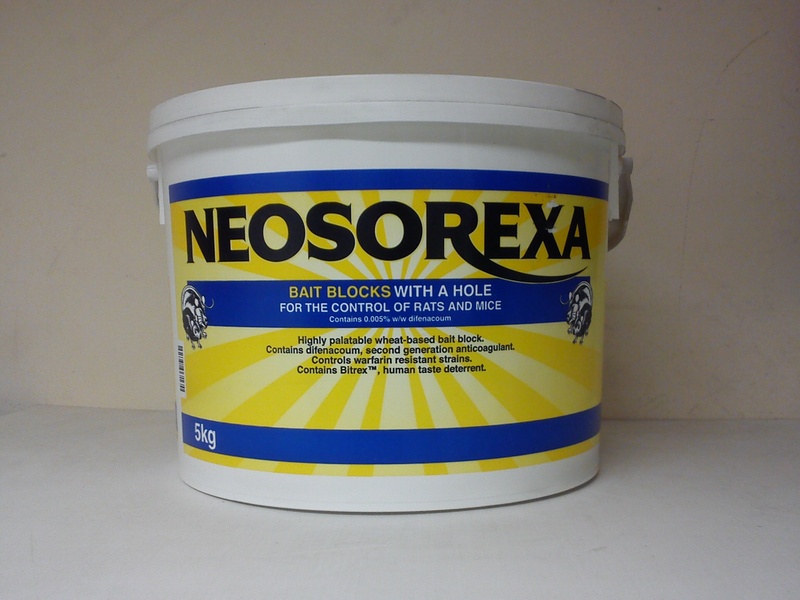 FREE SOREX LOCKABLE BAIT BOX WITH EVERY 5KG NEOSOREXA BAIT BLOCKS PURCHASED. Effective rodent control in an easy to use formulation, versitile & economical. As effective as loose bait but without the risks of spillage. The advanced formulation helps to maintain effectiveness even under damp conditions. Exceptionally easy to use and has a central hole to allow fixing. Follow link below to purchase.